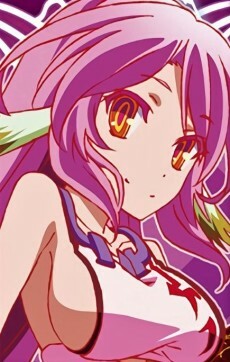 Jibril is the youngest and strongest of the Flügelrace. Her love toward knowledge starts even before the declaration of the Ten Oaths. She is against the book sharing law, and left her homeland to win the main library of the human world from the previous king in a game. Unlike Steph, Jibril is happy to become the siblings underling, and is shown growing feelings toward Sora.